Nothing like a bit of knee pain to ruin your ride. In measurable riding terms, my dicky knee – which blew up once again the following day after some 50km – cost me about 70km and 1,500m of climbing over the weekend. But the true cost is harder to measure. For as any cyclist who’s ever suffered from sporadic knee pain will vouch, these things have a nasty ability to mess with your mind. One moment you’re flying like Andre Greipel. The next you can barely turn the pedals. But when will that moment happen? And how far from home will you be when it does? Temporary treatments like Nurofen, olbas oil and Voltaren can help a bit, and might see you through in the short-term. Some ice never goes astray either. But sorting out the exact problem is what you really want. Alas, it’s often the hardest part; there are so many different theories when it comes to dodgy knees, deciphering them can be more confusing than unraveling the WorldTour points system. The issue might be your cleats. It might be your cleat position. It might be your saddle height or position. It might be your stem. It might be a lack of strength in your gluteus medius. It might be a cartilage problem. It might be over-exertion. Then again, it might be something completely different. Which is clearly exactly what you don’t want to hear. As someone told me on the weekend, “As frustrating as this will sound, you just have to keep seeing different people until you find something that works.” No doubt at $200 a pop. Awesome. For what it’s worth, I’m not seeing anyone just yet. In my entirely uneducated self-diagnosis, I’m pretty sure my problems are a combination of over-exertion on the day and a lack of time dedicated to ensuring the requisite muscle conditioning for periods of extended climbing. Next time I decide to do a long and punishing ride with plenty of ascending, I shall remember my knees and prepare properly. If they still hurt? Well, it’s back to the drawing board again. But only after a trip to the chemist for more Nurofen. 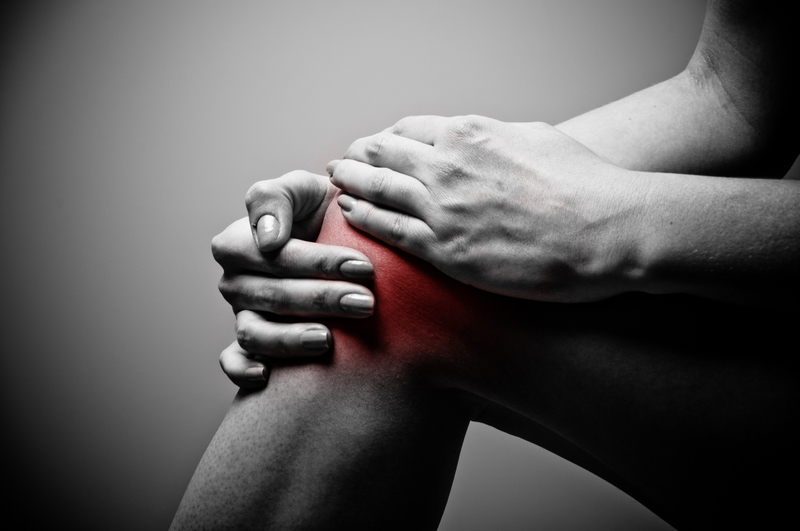 When I was younger my cycling was seriously affected by a condition called “chondromalacia patella” or sometimes referred to as runners knee. It hurt a lot and though I eventually had such weak knees that one of the required a full reco, I discovered that it was all to do with cleat and saddle position but also because cyclists don’t train their hamstrings and groin muscles well enough. So I fixed both, the latter by incorporating a gym routine and now I’m fine apart from the occasional ache here and there. If I get one I just rest. You have to as you get older.